Poverty isn’t always easy to see. The #HOPEbracelet is about making the problem visible to all and letting others know that The Salvation Army - along with our supporters - are bringing it to light and doing something about it. 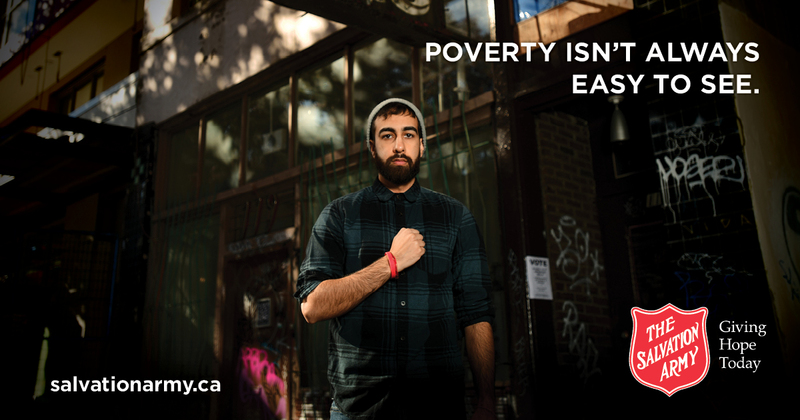 Wear your #HOPEbracelet today and let those who are struggling with poverty, homelessness and addictions know that you care, and enter our social media contest. Because of limited supplies, we will be giving one bracelet to every Kettle volunteer. If anyone else wants one they can come see us at 777 Ospika or call us at 250-596-HOPE (4673). "If you've signed up for Bell Ringing, make sure you get your Hope Bracelet"